Desk Set Checks are ideal for anyone who wants the convenience of 3-on-a-page checks plus attached stubs for record-keeping. 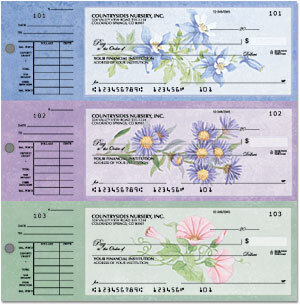 Each individual wallet-sized check is 6" x 2-3/4". Overall sheet size is 8-1/8" x 8-1/4".